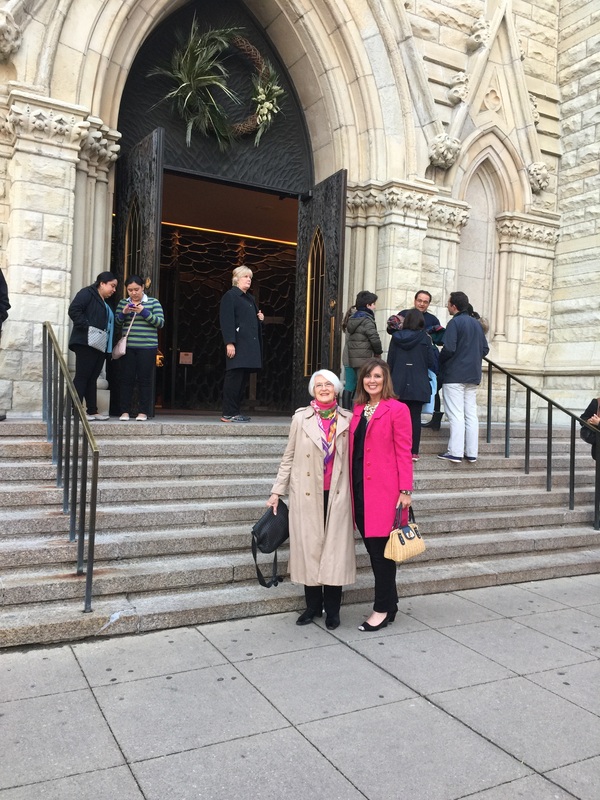 Last night, I was truly blessed to attend Holy Thursday Mass of the Lord’s Supper at Holy Name Cathedral in Chicago, with my mom. 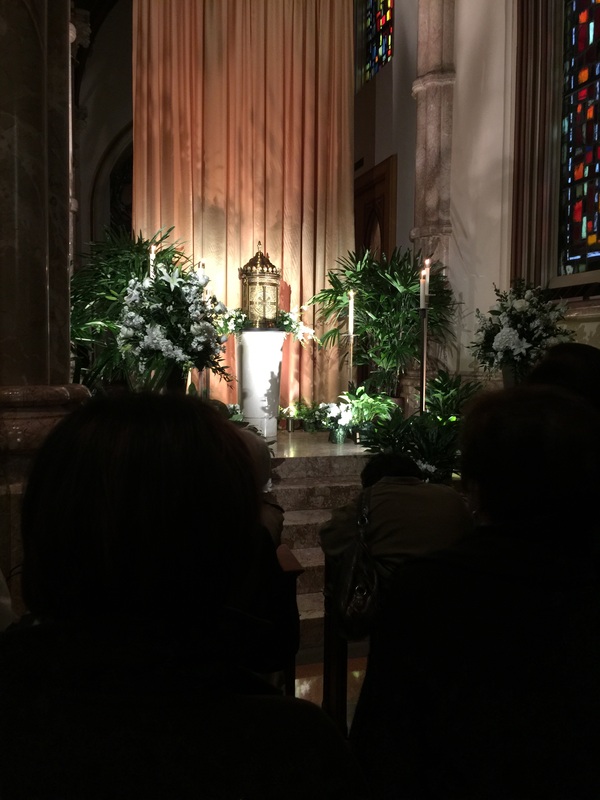 The new Chicago Archbishop Blase Cupich was the principal presider. Afterwards, the Cathedral went dark and dismal. 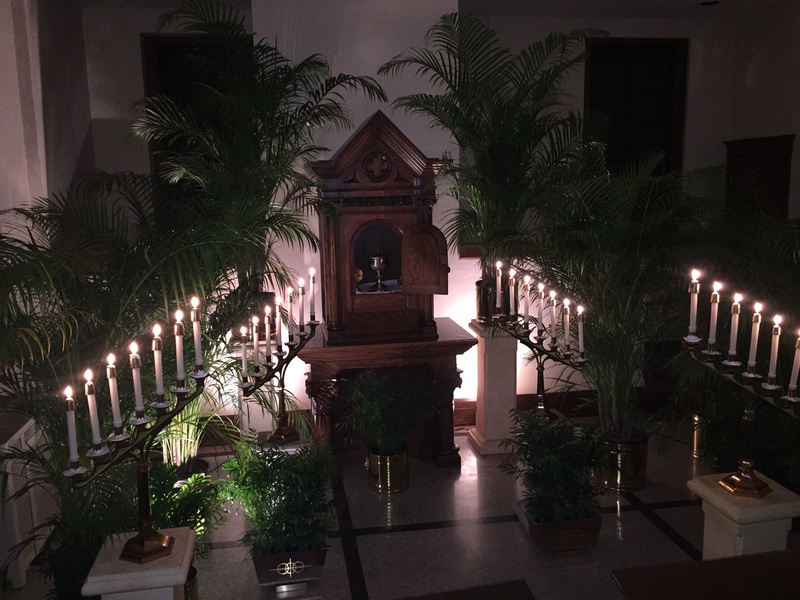 The candle lit procession to the altar of repose was filled with sacred silence and the Seventh Annual Holy Thursday Dinner and Pilgrimage began. 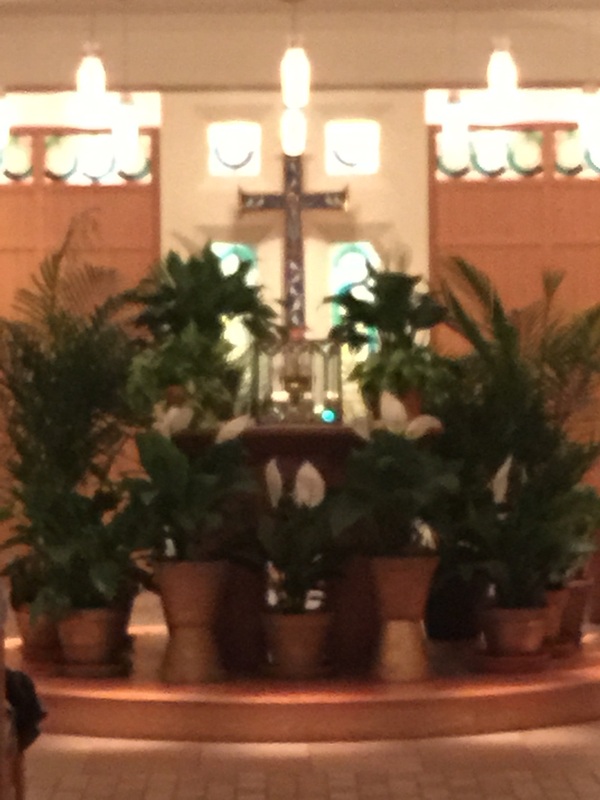 Holy Thursday at Holy Name Cathedral with my mom. 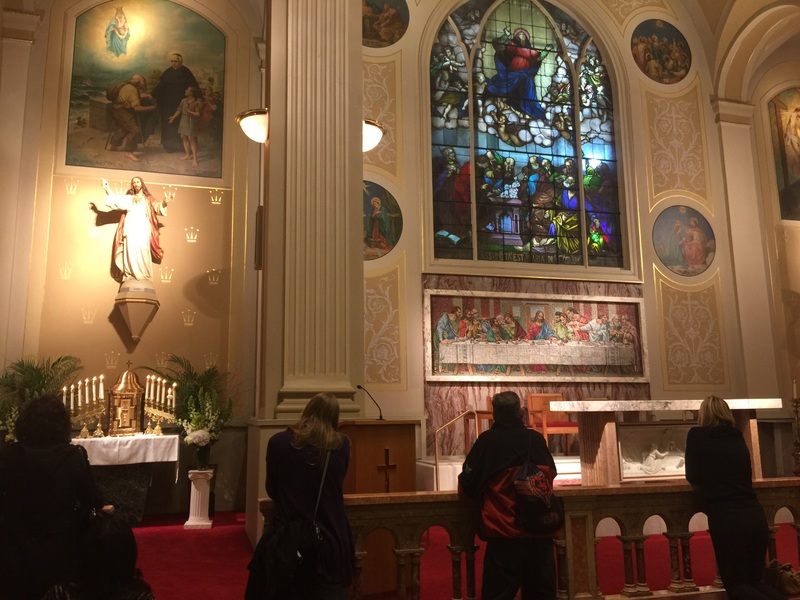 As many pilgrims were boarding the trolleys, Catholic Church Tours shared the vitality of faith displayed in bountiful sacred art frescoes, and rich in architectural history. 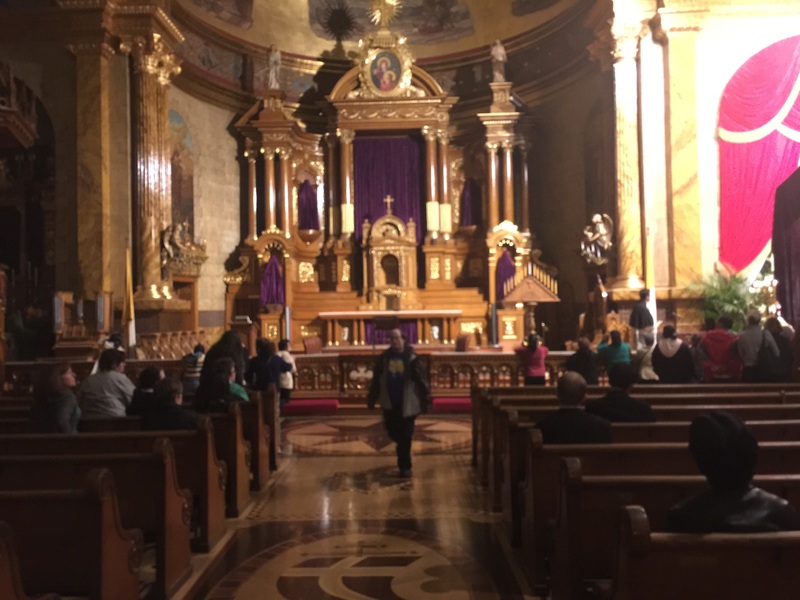 Holy Thursday pilgrimages have become a tradition in many Dioceses steeped from the ancient practice in Rome when pilgrims would visit seven basilicas as penance to obtain a plenary indulgence. We as pilgrims joined in communial prayer on the trolley journey to each church. 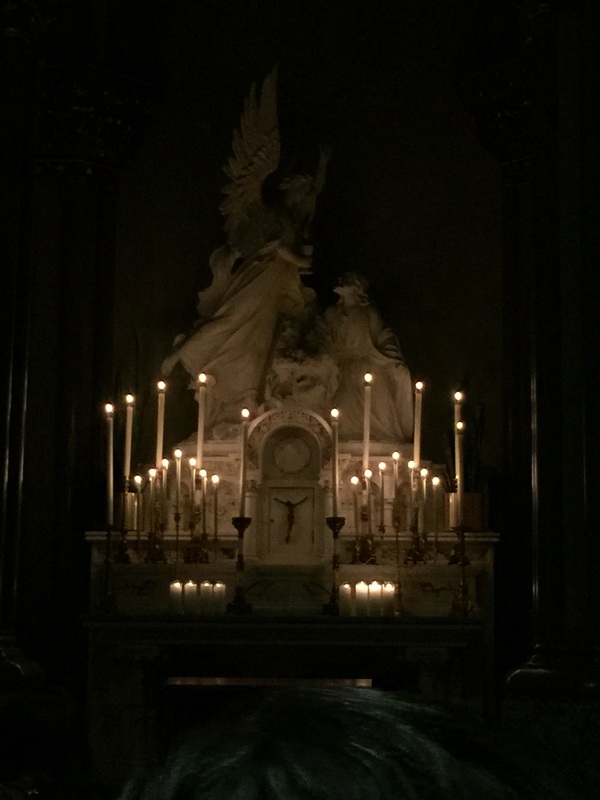 As I kneeled seven different times in adoration of the Blessed Sacrament, the significane of my faith journey heightened, thus becoming more real. I have an acquired appreciation of the history of Catholics in general but particularly in this great city, having grown up in Chicago. Personally, I am a visual person. Seeing is believing. Light or lack of it, enables me to meet the continual challenge of knowing which way to go, where to turn. 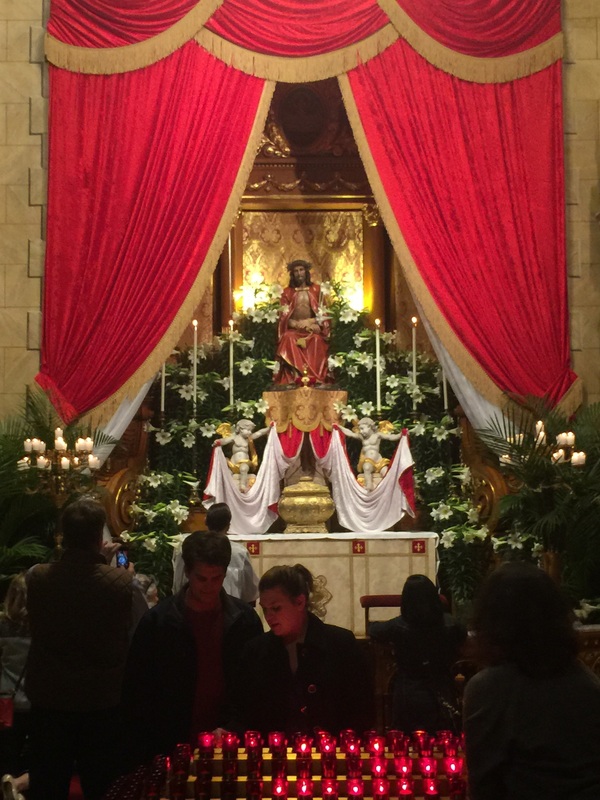 The Triduum (Holy Thursday – Easter Vigil) gives us the opportunity to go deeper into communion with Our Lord Jesus Christ, each and every liturgical year. On Easter, we as Church celebrate Christ the light as we sing the Alleluia! Christ has risen! Indeed! Saint Vincent de Paul Church. Chicago. Saint Clement Church. Lincoln Park. St. Alphonsus De Liguori Altar of Repose.